I grew up in the very small town of Thomasville, North Carolina. 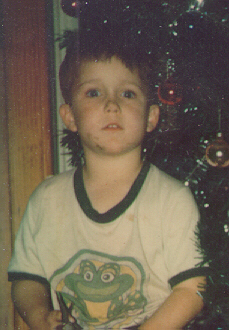 There wasn't ever much to do, so as a kid I naturally turned to Star Wars. I barely remember seeing Star Wars in the theatre. However, I saw ESB at the local drive-in many times. Can you imagine seeing AT-ATs that *huge*? It was awe-inspiring. Like Gus, I had a chance to meet the "cast", though only Vader. It was in the National Guard armory, and they announced over the loudspeakers when Vader's TIE had landed. I still have the autographed ("Darth Vader") 8X10 somewhere. Funnily enough, I still don't have a Leia Bespin. 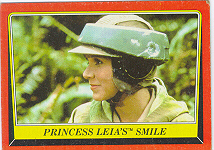 By the time Jedi rolled around puberty was in full force and I was making Princess Leia collage posters out of extra Topps cards and stickers. I finally joined the fan club, and had the 8X10 pics they sent framed. Then came the dark years. I got out of Star Wars and into GI Joe and Transformers, though strangely enough I never gave up on toys completely. I guess it was just in the blood. It was Amanaman and the rest is history.